The Charity Golf Club organisation held a fundraising event recently at the Hainault Golf Club outside of London. The club consists of more than 20 friends, who work to make a difference in the lives of thousands by raising money for various charities. They do this by holding golf tournaments for a different charity every month throughout the year. 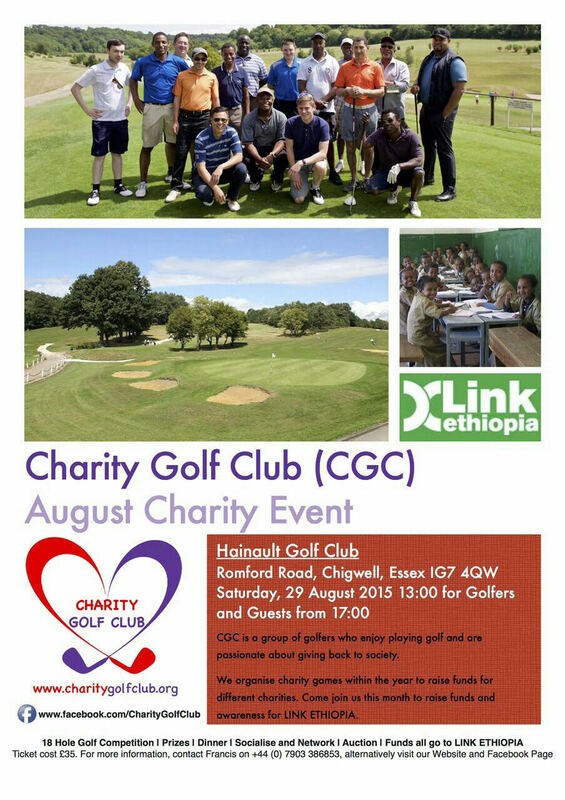 We were thrilled when we heard that the club had chosen Link Ethiopia to be supported for the month August. On a sunny Saturday afternoon the golf charity tournament was held for golfers and guests. Anyone who wanted to give back by playing a friendly game of golf was more than welcome to join in. We can imagine what a fun day it was for the participants. In the end, they raised an incredible £1,250 for Link Ethiopia! The money will be used to support our work improving the quality of and access to education in Ethiopia. We want to thank the work the Charity Golf Club team have done and we wish them well in future events. If you want to follow the club’s example, visit our website at www.linkethiopia.org and click on ‘Get Involved’. Also, don’t forget to go to http://www.charitygolfclub.org/ to support the group in future fundraising events. Previous PostShould we boost children's IQ?